Visit Zoo Atlanta and see over 1,000 animals from around the world, including giant pandas, Chilean flamingos, lions, giraffes, and more. Learn more about the animals during a Keeper Talk, take a stroll through the African Plains, and journey through the Ford African Rain Forest. Children can relax at KIDZone and Nake Mole Rat Playgrounds. Visit Zoo Atlanta, where you will see the largest populations of great apes in the United States. 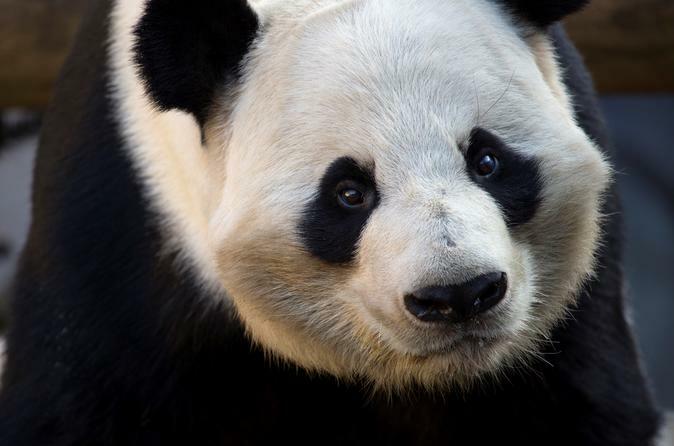 This is only one of four zoos in the country to house giant pandas. See more than 220 species and over 1,000 animals and naturalistic habitats. You can also explore the Zoo’s global conservation efforts. For an additional charge, enjoy rides and fun in-park attractions including the Treetop Trail, the Zoo Train, petting zoo, rock wall, Safari Slide, and the Endangered Species Carousel. There are a range of opportunities to entertain children, including interactive mystery hunts, grooving as your favorite animal, and storybook reading time. Visit the interactive Splash Fountain, KIDZone and Naked Mole Rat Playgrounds for plenty of space to splash around, play, climb, and explore. There are an array of lunch options in the zoo, including vegetarian choices and toddler bites (additional cost). The day is not over without seeing a wildlife presentation and participating in a Keeper Talk. In wildlife presentations, see animals such as mammals, birds, reptiles, and more in action as their natural behaviors and amazing adaptations are highlighted. At Keeper Talks, enjoy an educational conversation with an animal expert about the African savanna or the Australian Outback.